Summary: Halloween is fast approaching. You may want to make some jewelry or ornaments for Halloween. But if you don’t know what materials or beads you should purchase, we will give you some tips about beads and pendants in this article. In our pandahall, we sell you all kinds of beads, pendants and even jewelry. And you know Halloween is coming soon. Here, we want to introduce some beads and pendants to you in case that you need them to make some crafts. And one thing you don’t need to worry is that our beads are definitely with high quality and low price. We can offer you the beads in various sizes, colors, and shapes. It will be a wise choice if you choose pandahall. Halloween can’t miss skull items. 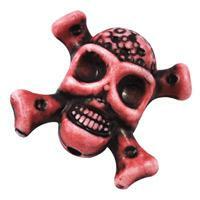 Skull is the motif of the Halloween, so we want to introduce some kinds of skull beads and pendants to you. There are skull turquoise beads, skull alloy rhinestone beads and pendants, skull zinc alloy beads, skull acrylic beads, skull porcelain beads, skull Tibetan style European beads, skull shell beads and so on. They all have their advantages like the skull alloy rhinestone beads are inlayed many diamonds on the surface. They are very shining. And the jewelry made by skull beads are gonna be cool. You will be very eye-catching when you wear skull jewelry. And we will show you some skull beads, p and jewelry below. There are two major animals in Halloween owl and bat. We can offer you the bat alloy European style dangle beads which are very suitable for pendants of necklace and bracelet. They are very cute. As for the owl beads, we can offer you different materials such as metal alloy beads, synthetic coral beads, Tibetan style European beads, porcelain beads and so on. You can choose the kinds you want. There are certainly many kinds of animal pendants for Halloween. You can apply them in different jewelry. They could create Halloween atmosphere. Pumpkin is a necessary element of Halloween. Various kinds of pumpkin beads and pendants are available in our pandahall. 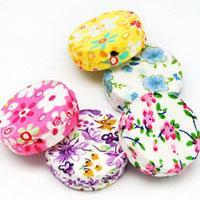 You can use them to make jewelry, house decoration and some other crafts. That would be very interesting. You should have a try. There are many other kinds of beads for Halloween such as orange beads, black beads and so on, because orange and black are main colors of the Halloween. Hope you can choose the beads you like to be your favorite crafts and jewelry.